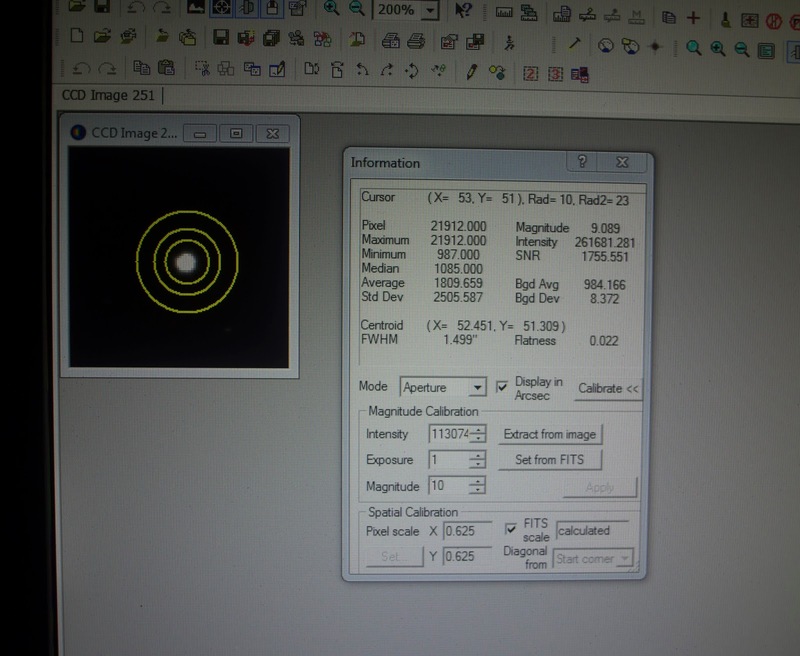 Kumeu Observatory Log: 1st attempt at a Microlens Star Field. 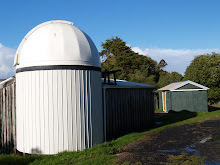 Last night after attending the Auckland Astronomical Society meeting at Stardome Jonathan & Steve headed out to Kumeu Observatory at Grant Christie's suggestion to attempt to image a microlensing event in the galactic bulge, Steve arrived first and opened up the dome but quickly found he could not astrometrically solve any images, the reason why this was the case is because while Steve had been working on the dome rotation automation over the long weekend he noticed that the time on the dome computer was not correct, he fixed the time but that of course caused all our pointing data to become out of wack so essentially the Mount didn't know where in the sky it was pointing anymore, after trying a few different failed attempts to resolve the problem Jonathan suggested to Steve that we just start from scratch and clear all pointing data and go find a known star to synch to, we eventually ended up on Alpha Centauri and managed to get synchronization by this stage it was fairly late (1:30 am ) so Steve headed home because he needed to get up early for work. 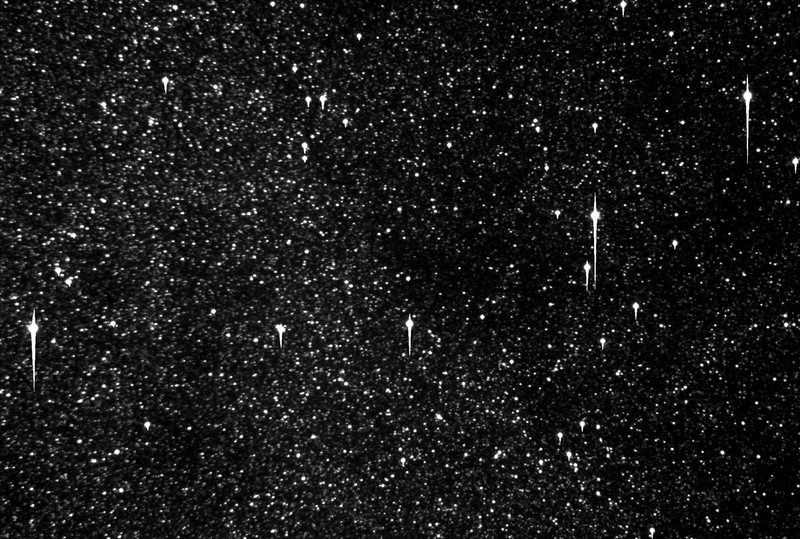 After Steve left I solved a few images and then focused a mag 8.5 star to a FWHM of 1.499 arc seconds per pixel, I then went to the microlens field and astrometrically solved the field to confirm the position, I managed to get 17 five minute exposures before the sky crapped out with fog and clouds, I left the observatory around 5:30 am as there was pretty much no chance to get dawn flats due to the bad conditions so we still can't reduce our data until we get new flats. The above image is of the target microlens star field, please note that the image is not calibrated and was taken while the waxing gibbous Moon was still well above the horizon, even though I managed to get a decent focus I was forced to run the dew strap at full to keep dew off the corrector plate which would have no doubt affected the images, also something else I noticed was that the aberrations all look worse on the left hand side of the image but I'm not really sure if that's our collimation or the focal reducer causing that. 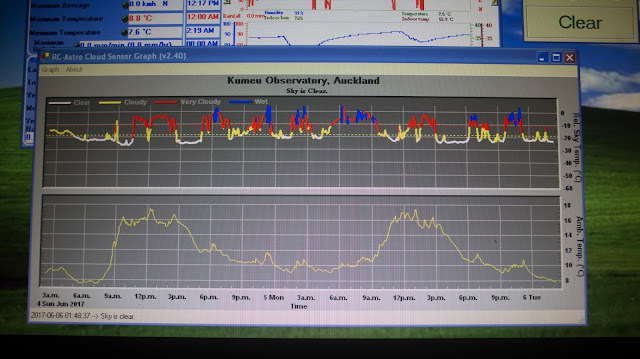 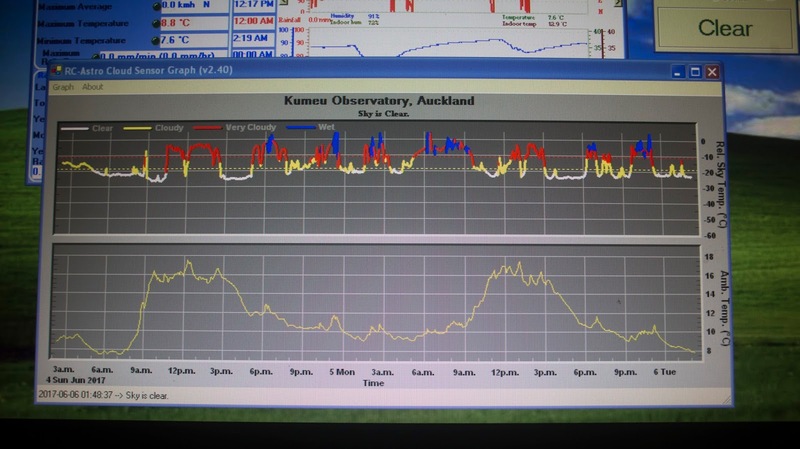 ^ The current observing conditions have been very sporadic out at Kumeu, as you can see from this cloud sensor graph above, the blue parts are rain, the red parts are heavy clouds, the yellow parts are light clouds and or fog and the white parts are clear skies, so you really need to be on your toes to be able to get anything done, hopefully we will have more stable conditions soon. 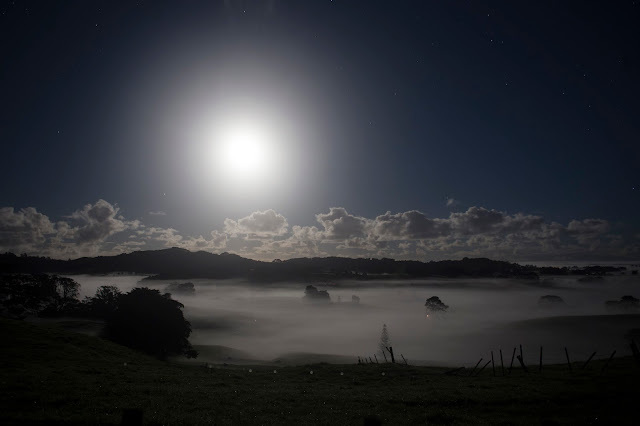 ^ The very picturesque scene looking at the valley across the road from Kumeu observatory, you can see that the fog and mist fills up the low lands but it's like the fog is like water in a bath and eventually it fills up the valley until it spills over and ends up over the trees and dome of Kumeu Observatory, it seems like this phenomenon might be quite a common occurrence at this time of year out at Kumeu.